Kerala's most sought after destination, the enchanting Munnar Hill station is situated at an altitude of 1600m above sea level, at the confluence of three mountain streams – Mudrapuzha, Nallathanni and Kundala. It was once the summer capital of the British in South India. The beautiful landscape is dotted with lakes, reservoirs, lush forests and sprawling tea plantations. Several varieties of spice like pepper, cardamom, cinnamon, nutmeg, ginger, garlic, cloves and vanilla are also cultivated in Munnar and its neighboring villages. Because of its high altitude, Munnar is also well known for growing very high quality aromatic teas. All these contribute towards the Kerala tourism in Munnar. Anamudi, the highest peak in South India, (2695 m) which is also an ideal spot for trekking, is located in Kerala destination Munnar. Devikulam Lake – Situated 7 kms from Munnar, Devikulam is famous for its lovely lake, Hill resort and Tea plantations. It is believed that Sita, the consort of Lord Rama, once bathed at the lake here. This lake with its mineral waters and picturesque surroundings is a good picnic spot. Also ideal for trout fishing. This is one of the main attractions of Munnar Tourism. Pothamedu – 6 kms away from Munnar Inda, you can see an excellent view of the tea, coffee and cardamom plantations. You can also see the rolling hills, the lush mountains and the breathtaking scenery here which is ideal for trekking and long mountain walks. Thattekad Bird Sanctuary –Situated 80 kms from Munnar, this Bird sanctuary housing more than 270 varieties of birds, stretches over an area of 25 sq. kms, between the tributaries of river Periyar. It is a paradise for bird watchers for the visitors of Munnar Kerala. Marayoor – In Kerala, this is the only place with natural growth of sandalwood trees. There is also a sandalwood factory. A children’s park, spread across a hectare of land under the canopy of a single banyan tree is also of great interest for the visitors. 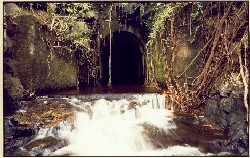 Toovanam waterfalls and Rajiv Gandhi National Park are situated nearby Kerala destination Munnar. Before booking your accommodation, find the best deal, compare prices, and read what other travelers have to say at TripAdvisor. – It covers an area of 97 sq.km. of rolling grasslands and evergreen forests. It houses the largest population of Nilgiri Tahr. Other animals are also seen here. It was declared as a Sanctuary in 1975 and as a National Park in 1978. The Park is divided into three regions – the core area, the buffer area and the tourism area, known as Rajamala region. This is also a place for adventure tourism in Eravikulam Kerala and is a part of Munnar wildlife. The other attractions include the picturesque town Kundala, the Golf course, the artificial dam, and Aruvikkad waterfall, Peeru Hills, which is a paradise for trekkers and picnickers. Munnar Hillstation is also famous for the beautiful Nilakurunji flowers, which bloom once in twelve years. If you are the type of person who enjoys the world of mountains Munnar is for you. The beautiful shola-grasslands of the ‘Silent Valley’ Plateau at an altitude of 2000 meters are best suited for the adventure-minded. 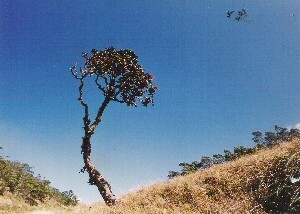 Trekking, camping and wildlife viewing are organized at Kerala destination Munnar. The cool mountain air, the lush green sholas, the gushing streams, the blooming rhododendrons all contribute to make your vacation a mesmerizing one in Munnar Kerala. KFDC also arranges programs at Gavi adjacent to the Periyar Tiger Reserve for trekking, wildlife watching and camping. 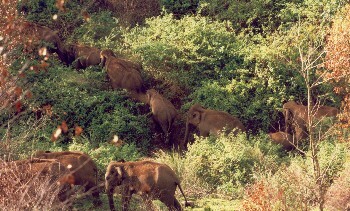 All kinds of South Indian animals and birds are found in Kerala destination Munnar and surroundings.